Visiting the Canadian Rockies with your family and have questions about where to hike, camp, or explore? 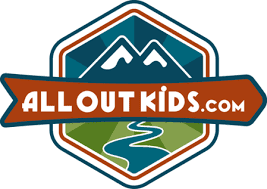 Are you a local family looking for other families to join on cool adventures? Do you need help getting started on your journey towards becoming an outdoor family? I am available for freelance writing contracts on any related subject connected to family outdoor adventures in the Canadian Rockies. 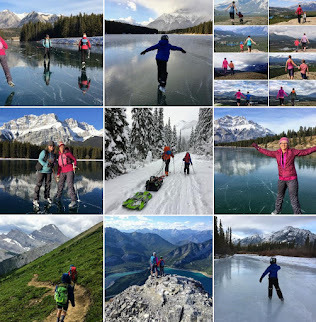 You'll find that I am knowledgeable on most activities, trails, and locations within Kananaskis and the National Parks of Alberta and British Columbia's Rocky Mountains. I am also an Alberta Parks Ambassador and extremely familiar with many of the provincial parks across Southern Alberta. My freelance writing takes me to awesome places like this! If you work in the local tourism market, I would love to chat with you about partnering with you to help promote your business, operation, or family friendly accommodations. If you are an outdoor-focused company interested in having me do a gear review of your product, please contact me and we can discuss details. I am also interested in sponsorship and ambassador programs. I am one of Keen Canada's Ambassadors since 2013 which is very exciting and I've been trying stuff with Columbia Sportswear since 2013 as well. 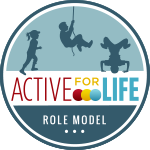 New this year, I am an Ambassador for Alberta Parks and I am also a Role Model for Active for Life. We live in a fabulous setting that provides for stunning photography. If you would like to use any of my photos for your marketing needs, please contact me. The photo below has been widely used by the Alpine Club of Canada in previous marketing campaigns to attract families to their Alpine Huts. If you are planning a trip across the Canadian Rockies I would love to help you plan your trip. I am available to help you plan your vacation and can offer you a detailed itinerary with suggestions on where to stay, hike, explore, and visit. I also offer "off the beaten path" suggestions and an insiders guide approach. Please email me at koob.tanya@gmail.com if interested in discussing this service that I can offer you. I love your site! It has given us some great ideas for trips with our kids,ages 5 and 7. Last year we bike packed the Slocan Valley Rails to Trails are are keen to find more family biking/ camping adventures. Thank you for such wonderful resources! Thanks for your kind words. Glad you enjoyed the Slocan Valley trails. They are on my list. I just wanted to thank you so much for this site. We are a family of 4 - kids aged 3 and 14. Your site has helped us over the last 3 years to plan summer holidays and they all have been fantastic!!! We just got back from Elkwood and LOVED it! Next we are going to Cypress Hills and Writing on Stone. Thanx again! hello! we're looking at last minute tent camping options within 3 hrs of calgary that would be best for our 4month old, 3 year old and 4 year old. we'll have bikes with us but would benefit from a playground & sandy beach within walking distance if possible. if you have any suggestions we would greatly appreciate it! Hello! 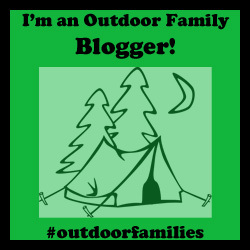 I really love your blog and enjoy trying new outdoor adventures with my family. Thanks for the great suggestions! Thank you so much for your blog. We just came back home, Argentina , from our holiday in the Canadian Rockies, with our 1 year old! Looking back at all the places we've been I feel that we wouldn't have done half of them if it weren't for your blog! It is not only full of great tips, but it is also very encouraging. Thank you!! I'm so glad you enjoyed your trip here. Glad my blog was helpful for you too!